Good evening and welcome to Marvelous Mondays Link Party 65. We hope you had a wonderful week and weekend! This weekend I was at the Florida BlogCon Conference in Orlando. Ken and I went up to Orlando on Friday and Stayed until Sunday. Of course, attending the blog conference wasn’t the only thing we did while we were there. I’ll share that in a later post! Thank you for joining us once again! We are thrilled that the party continues to grow and that the clicks on link ups continues to grow as well. What new ideas do you have to share with us this week? Don’t have anything new to share? 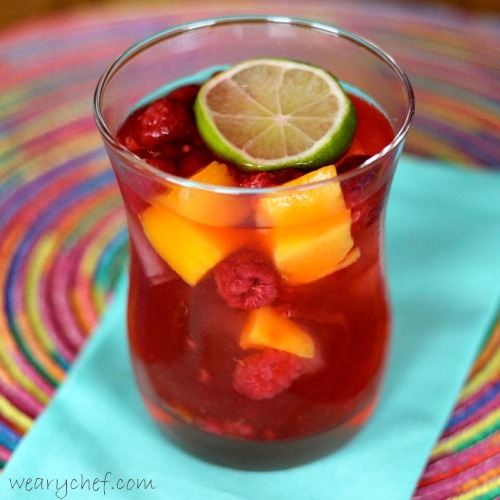 We welcome any of your new recipes or older recipes that have not been share in a while. Do you have any Halloween recipes or projects? If so, share them with us this week, old or new! Featured? Feel free to grab a button here. Did you know that all three of your hosts share link ups on Facebook, Google Plus and Pinterest? Be sure to follow along via Facebook and Pinterest so you can see some of our features from the party. We share a lot more than what we feature at the weekly party! You can easily like my Facebook page by clicking the “like” button in my side bar. Click below to follow on Pinterest! **Paula, Carrie, Deb and I please ask that you ONLY link up posts that you have not linked up before to Marvelous Mondays. We have been noticing some repeat posts being linked up recently. To be fair to all party-goers, please only link up NEW posts or posts that you have never linked up to our party before. We will not be “policing” post link-ups, but please note that repeat offenders’ posts will not be featured on Marvelous Mondays. Thank you. It is so great that you have been at a blog conference! Oh how I would love such an opportunity Julie. Thanks for hosting. Thanks for hosting! I love joining your party each week. Have a great week! Hi Julie! Can’t wait to hear all about the conference and what you and Ken did ;). 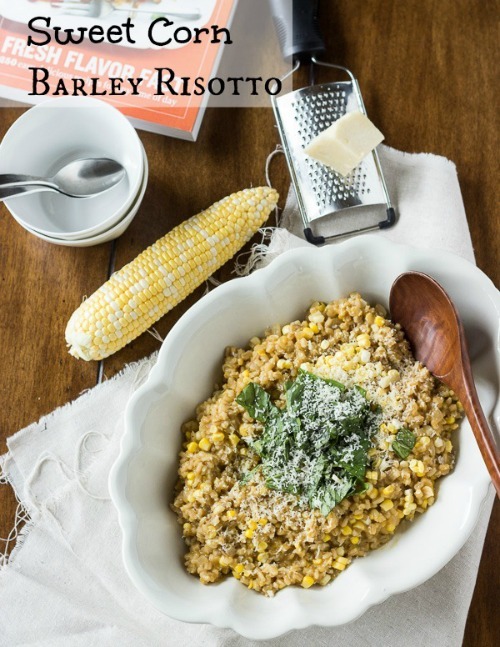 Thank you so much for featuring my risotto recipe! Hope you have a great week! Thanks for the party Julie!! I can’t wait to hear all about the blog conference, Julie! 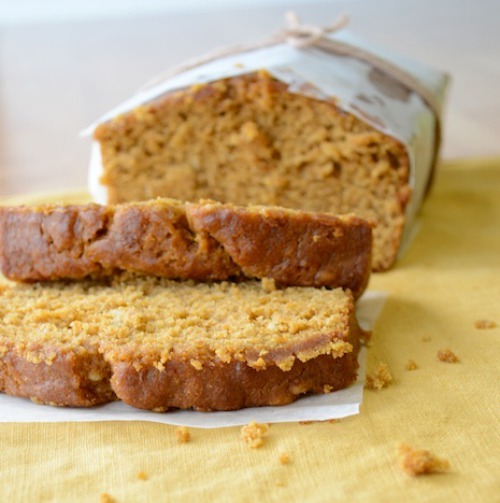 That Starbucks pumpkin pound cake looks so good. I missed that one, so I’m glad I’m catching it here. Hi Julie, happy first day of fall!! Thanks for your hard work on getting the up party each week! Thank you, Beth! Thanks for stopping by each week! Hi Julie! very nice features this week ;-) thanks for hosting! Thanks Julie for another great party!!! Hi Julie! I’m changing it up this week and sharing a craft! :) Thanks so much to you, Carrie, Paula and Deb for hosting the party! Hope you had a great weekend and a happy first day of autumn! Woohoo! Yay, thanks so much for stopping by and sharing, Cindy! Thanks so much for the party, Julie! Have an awesome week! You’re welcome, Lyuba! Thanks for stopping by! Hope you had a great time! Thanks for hosting! I’m new to the party, and I’m so excited! I’ve followed you along with the other hosts via Bloglovin. Hi Aida! Welcome to the party. We are so happy that you are here! Have a wonderful week! Hi Julie! Thanks for hosting another great party. Have a great week! Thanks for hosting, Julie. Have a great week!! You’re welcome, Nichi! Hope you have a great week as well! Thanks bunches for your fun party here….!! Have a happy week… You’re right, it is a marvelous Monday… !! 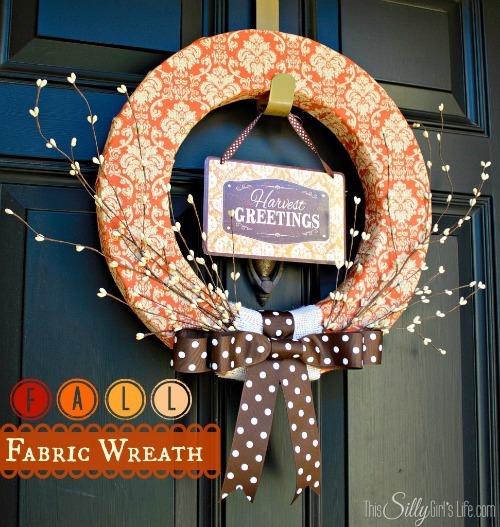 Thanks so much for featuring my Fall Fabric Wreath! Followed on Pinterest! Happy to link up! We’d love for you to stop by the new site that we launched recently to help bloggers with their Google Rankings & SEO by allowing them to submit their posts w/ pictures & links back to them. You’re welcome, Kristin! Thanks for stopping by!